Now is one of the busiest times of year for fans of organized team sports. They are being treated to National Basketball Association (NBA) and National Hockey League (NHL) playoff series, the Major League Baseball (MLB) season and the National Football League (NFL) draft are underway, and over the last month, the National Collegiate Athletic Association (NCAA) held it basketball and hockey championship tournaments. 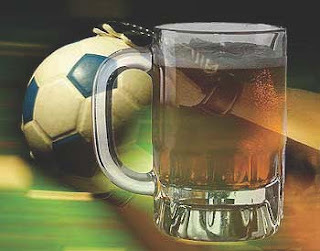 In addition to the competition and excitement associated with these sporting events, there is a lurking problem of interest to addiction researchers: overuse and abuse of alcohol by fans of these events. Recent publications in CPDD’s journal Drug and Alcohol Dependence (DAD) detailed findings from 2 studies suggesting that alcohol abuse by fans of team sporting events is an important public health problem. In a to be published study by Merlo and colleagues, who assessed drinking behavior in association with high profile college football games at 2 US universities, it was reported that more than 48% of students surveyed during the “tailgating window” (~2.5 hours before to about 10 minutes after the game) reported heavy drinking, and more than 30% of those surveyed produced breath alcohol samples exceeding the legal limit for driving (0.08). Merlo and colleagues previously reported in DAD that alcohol-related arrests increased on game days and that more arrests occurred closer to game venues. Both reports cited a prior study suggesting that higher profile sporting events, e.g., the NCAA men’s basketball finals games, trigger more alcohol problems than lower profile games. Alcohol abuse in association with organized sporting events transcends sports and performance levels, and has been studied in association with professional baseball and collegiate football and basketball games, as well as in association with high school events. It also transcends countries and cultures, and thus it appears to be a widespread phenomenon. Together, these studies underscore the importance of conducting additional research in this area to better understand this phenomenon in association with team sports at all performance levels. Such data should be useful in helping to improve alcohol education and control policies.